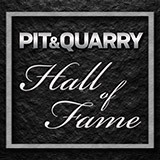 Images from the 2019 Pit & Quarry Hall of Fame induction ceremony, as well as a few shots of those who attended the festivities. 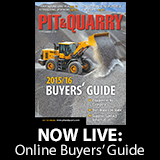 Oldcastle Materials CEO Randy Lake, who will serve as NSSGA’s next chairman, breaks down the months to come for the aggregate industry. The National Stone, Sand & Gravel Association elected Mark Helm as its chairman of the board of directors during its Annual Convention in Las Vegas.